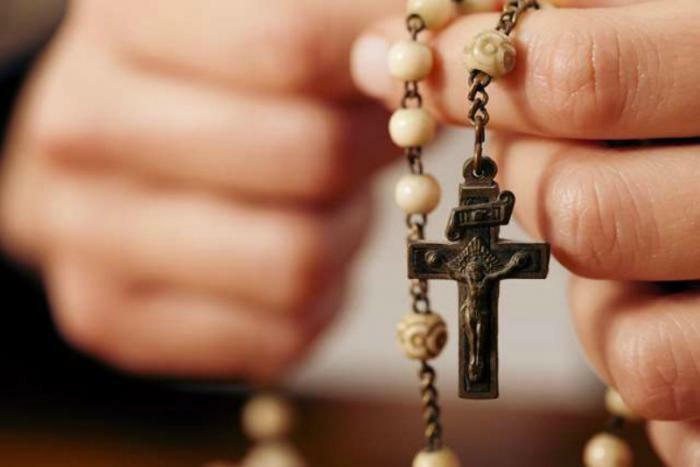 How can we pray the Rosary in a more meaningful way? It is interesting that in her appearances at Lourdes, Fatima and other locations, the Mother of God repeatedly recommends praying the Rosary. She does not invite us to pray the Divine Office, or to do spiritual reading, or Eucharistic Adoration, or practice interior prayer or mental prayer. All the mentioned forms of prayer are good, recognized by the Church and practiced by many saints. Why does Mary "only" place the Rosary in our hearts? Vatican City, Rome (CNA) - We can find a possible answer by looking at the visionaries of Lourdes and Fatima. Mary revealed herself to children of little instruction, who could not even read or write correctly. The Rosary was for them the appropriate school to learn how to pray well, since bead after bead, it leads us from vocal prayer, to meditation, and eventually to contemplation. With the Rosary, everyone who allows himself to be led by Mary can arrive at interior prayer without any kind of special technique or complicated practices. This does not mean - and I want to emphasize this point - that praying the Rosary is for "dummies" or for simple minded people. Even great intellectuals must come before God as children, who in their prayers are always simple and sincere, always full of confidence, praying from within. All Christians are called to the kind of interior prayer that allows an experience of closeness with God and recognition of his action in our lives. We can compare the Rosary to playing the guitar. The vocal prayers - the Our Father, the Hail Mary and the Glory Be - are the central prayers of Christianity, rooted in Scripture. These are like the rhythm in a song. But simply strumming a guitar is not a song. And mindless repetition of words is not interior prayer. In addition to rhythm, keys are needed. The Mysteries of the Rosary are like the chords on the guitar. The vocal prayers form the framework for meditation on the Mysteries. There are always these five chords to the rhythm of the repetition of the prayers, which make the lives of Jesus and Mary pass before our eyes. With meditation, we go on reflecting on what happens in each Mystery and what it means for our lives: At Nazareth, the Son of God is incarnated in Mary. In Holy Communion, He also comes to me. In Gethsemane, Jesus sweats blood. He suffers, is in anguish, and yet his friends remain asleep. Can I keep vigil with Him or do my eyes close with tiredness? On Easter morning, Jesus rises and breaks forth from the tomb. The first day of creation brought light. The first day of the week conquered death and gave us life. Christ can change the darkness in my life into light. And so, our prayer begins to change into music. That is to say, it is no longer monotonous and boring, but now it is full of images and thoughts. And when the grace of God permits, it is also filled with supernatural illuminations and inspirations. There is one more thing needed to have really great music, or to have a prayer that is even more profound and intimate: the melody that the heart sings. When playing the guitar, a voice is needed to interpret the song. When praying the Rosary, it is the song of our heart, as we place our own life before God, to the tempo of the prayers and meditations. It is this song of the heart that allows us to enter into the mysteries of the Rosary: For my sake you were scourged, and it was I who struck you. Forgive me! You have ascended into Heaven, Lord. I long for You, I for your kingdom, my true homeland. In contemplation, the person praying sees the mysteries pass before his eyes, and at the same time he abides in particular affections or movements of the heart before God. The one who prays sings the song of his own life, in which naturally there can arise specific desires: You wanted to be the son of a human Mother; help my sick mother! You were crowned with thorns; help me in this financial difficulty which I can't get out of my head. You sent the Holy Spirit; without You I don't have the courage or the strength to make a good decision. Our schedule is full of appointments. More or less consciously, we also plan out the time we're going to need for each task or appointment. Sometimes it is good to set aside 20 or 30 minutes to pray the Rosary, and write it down in the schedule. This "appointment" with Jesus and Mary is then just as important as all the other ones planned. For all of us, it is possible to set aside a time to pray the Rosary, at first, once, twice or three times a week. Over time - and this is the goal - it will be easier to find a time to pray the Rosary daily. We can learn a lesson about prayer by observing people in love. During a romantic candlelit dinner, no one would be constantly looking at the clock, or choking down their food, or leaving the dessert to one side to finish as quickly as possible. Rather, a romantic meal is stretched out, maybe lingering for an hour to sip a cocktail, and enjoying every moment spent together. So it is with praying the Rosary. It shouldn't be treated as sets of Hail Mary's to be performed as if one were lifting weights. I can spend time lingering on a thought. I can also break away from it. I can, principally at the beginning, simply be peaceful. If I keep this peaceful attitude and an awareness of how important this 20-minute "appointment" is, then I will have prayed well. It will have been a good prayer, because my will is focused on pleasing the Beloved and not myself. Saint Ignatius recommends what's called the "third form of prayer," which consists in adjusting the words to the rhythm of one's own breathing. Often it is sufficient in praying the Rosary to briefly pause between the mysteries, and to remember that Jesus and Mary are looking at me full of joy and love, recognizing with gratitude that I am like a little child babbling words every so often to in some way affirm that I love God. To do this, it can be useful to pause and take a few breaths before resuming vocal prayer. The vocal prayers of the Rosary only provide the rhythm of the prayer. With my thoughts, I can and should go out from the rhythm to encounter the Mystery which is being contemplated. This is more clear in German, where the mystery is announced not only at the beginning of each decade, but before each Hail Mary. It's a time to look your Beloved in the eyes and let Him look back, with eyes full of love. One of the first and most important steps for inner prayer is to go from thinking and speculation to looking upon and being amazed. Think of lovers who meet, not to plan out what they're going to give each other or what they might do on the next vacation, but to enjoy the time together and to rejoice in each other. Looking at a family photo album is very different from looking at a history book. In the photo album, we see people who are important to us, whom we love - and even more - who love us! That's how our gaze at Jesus and Mary ought to be in the Rosary. Some people close their eyes while praying in order to concentrate. Others find it useful to focus their eyes on a certain point (such as a crucifix). Either way, what is important is for the eyes of the heart to be open. Praying the Rosary is like going to the movies. It's about seeing images. It's useful to ask yourself: Who, What, Where am I looking at when I contemplate the birth of Jesus, or his crucifixion, or his ascension into Heaven? And on some occasions, like a good cameraman does, come in for a close-up image of some detail: contemplate the warm breath of the ox that's warming the Child, the pierced hand of Jesus that spread so much love, the tears in John's eyes as he gazes at Jesus rising up to Heaven. The words accompany, the mind opens, but it is the heart that has the leading role in prayer. All the great spiritual authors agree that inner prayer is about dwelling in the affections, that is, the inner sentiments and movements. Teresa of Avila says very simply: "Don't think a lot, love a lot!" An elderly lady was ruefully complaining to me that she could not reflect while praying her daily Rosary, and that in that situation she could barely say "Jesus, Mary, I love you!" I congratulated the lady. That is exactly what praying the Rosary ought to lead us to.